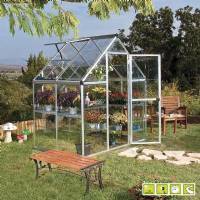 A backyard greenhouse kit can provide a stable, warm environment where plants can be grown all year. A stable structure forms the base of the greenhouse, transparent polycarbonate panels. Capable of filtering 99% of harmful rays. Resistance to wind up to 90 Km/h. Resistance to a snow load of 80 Kg/sqm. The Doritis Mini greenhouse combines beauty and quality whilst ensuring durability, this greenhouse is suitable for the most demanding people who love to grow and protect their precious plants. 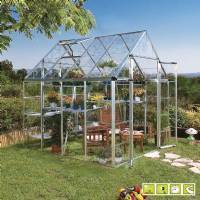 The Doritis Medium greenhouse combines beauty and quality whilst ensuring durability, this greenhouse is suitable for the most demanding people who love to grow and protect their precious plants. 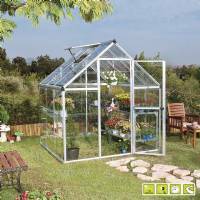 The Doritis Maxi greenhouse combines beauty and quality whilst ensuring durability, this greenhouse is suitable for the most demanding people who love to grow and protect their precious plants. 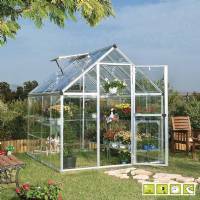 The Doritis Large greenhouse combines beauty and quality whilst ensuring durability, this greenhouse is suitable for the most demanding people who love to grow and protect their precious plants.